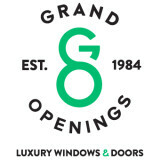 Exclusive Windows and Doors of Austin’s commitment to excellence is to provide the most comprehensive selection of beautiful, energy efficient, luxury windows and doors in Texas; coupled with the absolute best professional window and door services available. Whether you're building a new home, remodeling, adding-on or simply renovating, our experienced and knowledgeable staff will work with you, your architect and your builder, every step of the way to ensure your utmost satisfaction. Using 100% American steel and labor, we handcraft steel windows & doors one at a time with precision and unparalleled craftsmanship. We have a steadfast passion for creating the highest quality steel window and door product on the market that is equally beautiful and functional. 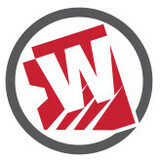 See www.rehmesteel.com for more details on our products and to find a dealer near you. We are nationwide retailer of high quality wood, fiberglass and iron exterior doors, interior doors, barn doors, french doors, and patio doors! We offer a collection of unique, well-made doors, designed with elements that truly represent the era and style of your home. 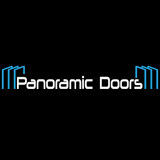 Builders, architects, interior designer and homeowners trust us to deliver stunning doors at a great value. We are a proud authorized internet retailer of MAI doors, GlassCraft Doors, DSA Doors, Escon Doors, Krosswood, Prestige Entries, Emtek Hardware and more. You will not find our doors on display in the big box stores. We take pride in offering doors that are different by design and quality, yet reasonably priced. In addition, we offer our customers a professional sales team, providing specialized product support and designers' advice, a type of service you would expect from a luxury boutique. We handpick our vendors, visit their facilities and inspect their doors for quality and craftsmanship. We believe in the products we sell and can answer any questions you may have. 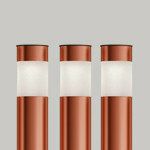 We sell to builders, contractors, designers and home owners. You can customize your door online, from buying a door slab to a complete pre-hung unit system. We try to make your shopping experience easy yet informative. 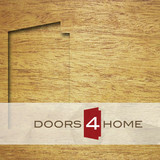 Shop our online store at www.doors4home.com, or visit our showroom in Austin, TX. Martel Windows and Doors, LLC is a family-owned and operated business focused on customer service and offering builders and architects American-made clad wood, fiberglass, vinyl and aluminum windows and doors. The company has carefully selected the highest quality windows and doors, giving customers nearly unlimited possibilities. All of its manufacturers’ product lines are designed to meet the specific needs of the homes and homeowners in the Central and South Texas regions. By using any of Martel’s products, customers can contribute to energy conservation and save money at the same time. 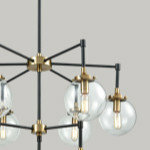 Many of its products are Energy Star rated and Green Seal certified. In addition, Martel also offers installation services, design guidance, engineering and architectural support; and it services all products it sells. PORTE is proud to be an Austin based Wrought Iron Door Company that manufactures products in the USA and Mexico. 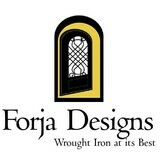 But we are not just a door company, we can custom make a wide variety of products out of iron. We know that producing the perfect product requires creativity, engineering, innovation and experience. At PORTE we like to create new and unique designs using the best materials, so when you choose to buy from us you can rest assured that you are acquiring a high quality product. We manufacture our doors, so you get the quality and value of direct-from-the-manufacturer door sales from a company that offers a great selection of gorgeous metal doors without leaving your home! We are also one of the only companies to offer 6 different door lines, which we can combine to make unique designs. The possibilities become endless when you can offer so many different options. Purveyor of luxury brands for building fine homes. We specialize in providing high-end window, door and railing solutions for luxury clients. At Architectural Impressions, we believe that the best design solutions result from a collaborative effort. To this end, we seek to work effectively with each stakeholder in the building process: Architects, Designers, Custom Home Builders and their respective clients benefit from our product expertise and our passion for getting things right. We seek to inform the process at each important step. 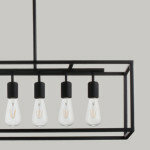 Information provides that crucial spark of inspiration that sets the design process in motion. We want to be that crucial part of your team who ensures that your projects become time-honored and leave lasting impressions. Feel free to reach out to us, we would love to hear from you! Cantera Doors recognizes the importance of translating our client’s criteria into original, functional designs. Our representatives work with builders, contractors, designers, home and business owners to gather technical specifications and ideas. This information is then communicated directly to our award winning CAD Design Department to guarantee that the final product is both technically accurate and beautiful. Our 95,000 square foot manufacturing facility near Monterrey, Mexico utilizes the latest technology and premium materials for the insulation and finishing of our products. However, most of the actual door construction is done by hand using forges and artistry to create a finished product that is a one-of-a-kind work of art. While many of our competitors try to replicate our products, none can consistently generate the quality and craftsmanship that goes into every product created by Cantera Doors. And, all of our designs are trademarked and copyrighted to guarantee authenticity. Prestige Steel Doors and Windows is a manufacturer of custom steel doors, windows, and gates. We are a full-service organization dedicated to delivering unparalleled customer service and satisfaction from the beginning of the design through the manufacture, distribution, and complete installation of our products. Glass Expanse has designed an innovative glass door system that enables you to completely open spaces with a focus on aesthetics, usability and longevity. Each sliding glass door unit (single or double glazed) individually runs along a single-track system and seamlessly folds away, transforming a stunning and secure façade into an indoor-outdoor entertainment space. We lead the industry in our commitment to innovate. Each system is a result of performance engineering enhanced by modern design. We are excited to offer this premium American designed and engineered product, that's backed by the best warranty and customer service in the industry. Our goal is to create accessible luxury to consumers around the world by providing a concept and experience that is without rival. Jim Thomas Bronze Studio, Inc.
Texas based Thomas Studio & Foundry specializes in designing, sculpting, casting, and fabricating fine public and private art including architectural art, liturgical art, fabrications, and casting bronze sculpture for other artists. Since 1968, Jim Thomas has worked as art bronze fondeur and sculptor. 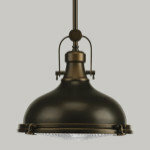 Thomas has a small foundry and fabrication shop with skilled artisans. Larger casting and sculpture projects include the 5-story "Tree of Life" sculpted brick park in Cleveland, Ohio; the full scale cast bronze Chisholm Trail Commemorative park in Round Rock, Texas; and the three-figure 12' cast bronze Vietnam Memorial by Tony Pham for a park in Bellaire - Houston, Texas. and six full scale cast bronze longhorn sculptures in Houston, Ft. Worth, El Paso, San Antonio, Abilene and Round Rock. Your home base for custom, hand-crafted, and beautifully designed decorative millwork panels and entry systems. The right place to get high-quality, durable, and well-designed doors for your home and business safety and security round the clock is here in 24 Austin Garage Doors. We're authentic Austin. Our custom metal barn doors embrace the culture and unique flair that keeps our city vibrant. We strive to bring the same concepts to our sliding doors. Each door is a custom creation and no two are alike. We accept custom orders on everything from interior doors to property gates- even one of a kind, shadow box style work desks. Let Sliderz help bring a piece like no other into your home or office. We specialize in making functional furniture a work of art. What kind of services do Jonestown door dealers provide? Door dealers are responsible for a variety of services, including door installation, replacement, door repair and custom door design. If you need a new door, Jonestown, TX door dealers will help you determine what kind you need, as well as shape, color, size and more. From barn doors to French doors to front doors, these professionals can help you choose, install and maintain your door investments. Wood doors are beautiful, versatile and tend to be the most popular choice for both interior and exterior doors; they are easy to custom build, and include oak, cherry, walnut, mahogany, maple, fir and pine. Some standard wood doors have MDF cores wrapped in wood veneers, which minimizes the chances of warping as real wood expands when wet and contracts when dry. If your heart is set on a wood door but you think the Jonestown, TX climate might cause it to warp, talk to your door professional about a furniture-grade veneered door. Aluminum doors have an insulated core and come in a variety of colors and finishes. With a baked-on enamel finish, they won’t rust or need repainting, and many come with a 20-year warranty. Next to wood they are the most expensive and have to be custom-made. A Jonestown, TX door dealer can help you find a reputable aluminum door manufacturer. Find door dealers and installers in Jonestown, TX on Houzz. Look in the Professionals section of our website and search for Jonestown, TX door dealers and installers. Read reviews, look at project photos and see how a pro can help with your home improvement project.